Practice these lessons while the car is safely parked in your own driveway. When your teen is ready, then practice in the six driving environments. There’s no better place to start than the basics of driving a car. It’s not just a matter of comfort, it’s a matter of safety. Learning how to adjust the seat, mirrors, seat belts, and steering wheel and understand the dashboard will provide a teen with a good understanding of the basics of car driving. Help the new driver understand the location and operation of the dashboard controls and indicators. Go over the car owner’s manual with your teen behind the wheel. Have your teen practice operating the controls, telling you what each control is used for and what the indicator lights mean. 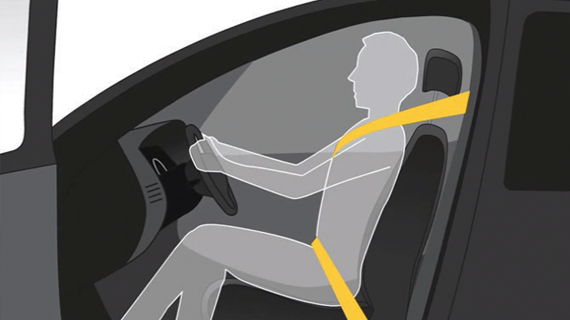 Help the new driver learn how to properly adjust the seat for comfort and safety. Have your teen adjust the seat so both hands are at the 9 and 3 o’clock positions and the stomach is 10 inches from the steering wheel. The top of the head rest should be about 3 inches below the top of the head. Your teen should be able to easily switch the foot from the brake to the gas pedal. Help the new driver learn how to properly adjust the steering wheel. Have your teen adjust the steering wheel so that the top of the wheel is no higher than the top of the shoulders. Move the steering wheel up and down until it feels comfortable and can easily maintain a 9 and 3 o’clock position. Help the new driver learn how to properly adjust the seat belts. Have your teen adjust the seat belt so it is low across the hips. The shoulder belt should be across the chest and never across the front of the neck, behind the back, or under the arm. Help the new driver learn how to properly adjust the mirrors. Have your teen adjust the side mirrors to view just a small portion of the side of the car as a reference. Adjust the rearview mirror to see the best full view possible out the back window. Check your teen’s mirror adjustment by walking outside of the car and asking if you can be seen in the mirrors.